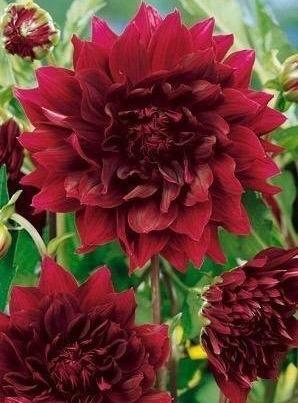 Excellent decorative variety, full double with rich blood red recurving petals, July onwards. Sun and good drainage. 1.2m tall. Does not like to dry out. Prefers a sheltered spot or lift for winter. Dark green foliage.